First “Fall Preview” cover in September 15, 1969. 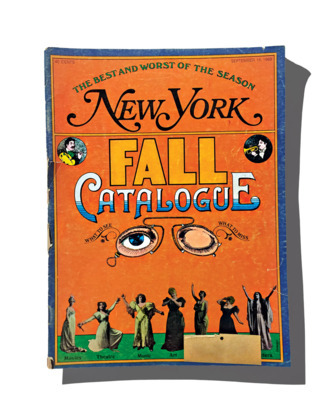 New York’s first “Fall Preview” ran in the magazine’s very first year, 1968, and first appeared on the cover in 1969. The prediction game is a tough one—what’s going to succeed? What’s going to flop?—but we have mostly been good at it, and occasionally quite prescient. And then, sometimes, we … weren’t. A representative sampling. *This article appears in the August 22, 2016 issue of New York Magazine.